Eco-Schools is an international award programme that guides schools on their sustainable journey, providing a framework to help embed these principles into the heart of school life. At Corbridge Middle School we are committed to educating our children and adults to be responsible, caring members of the community. One of the ways in which our pupils demonstrate this is in the way in which they care for our local and global environment. 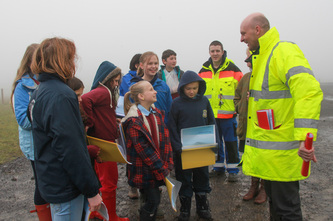 Our school has formed an Eco-Group, made up of pupils, teachers and other adults in our school community. They work closely on projects and campaigns to ensure that as a school we reduce our waste by promoting the three R's - Reduce, Re-use and Recycle. 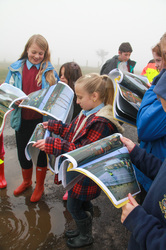 ‘Generation Green’ activities have included using a grant from the Esh Charitable trust to improve our wild area with bird and bat boxes, a pond and mural. We also won the BOC Secondary School Environmental Award that allowed us to create an organic orchard with fruit trees, shrubs and an unusual turfed seating area designed for the competition. 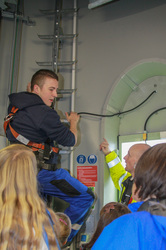 Corbridge Middle School students put their science, design technology, engineering and maths talents to the test in a one-day challenge set by the educational charity, The Smallpeice Trust. Working in small groups, this introductory session was designed to enhance students’ aptitude for problem solving, creativity, design and engineering and was especially geared to complement to the National Curriculum. 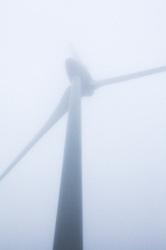 Take a look at their latest video release below - The Pod. Further updates reagrding the progress of our Eco-group oin their latest mission will be posted as soon as feedback is received. 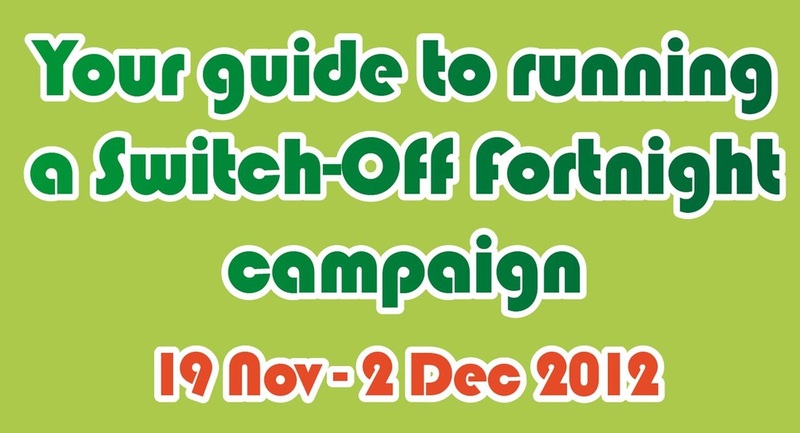 Good luck to you all and very well done! 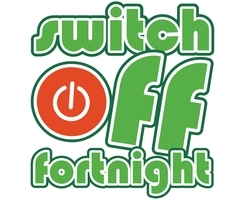 Our Eco-group have once again joined the 'Switch-Off Fornight' campaign. 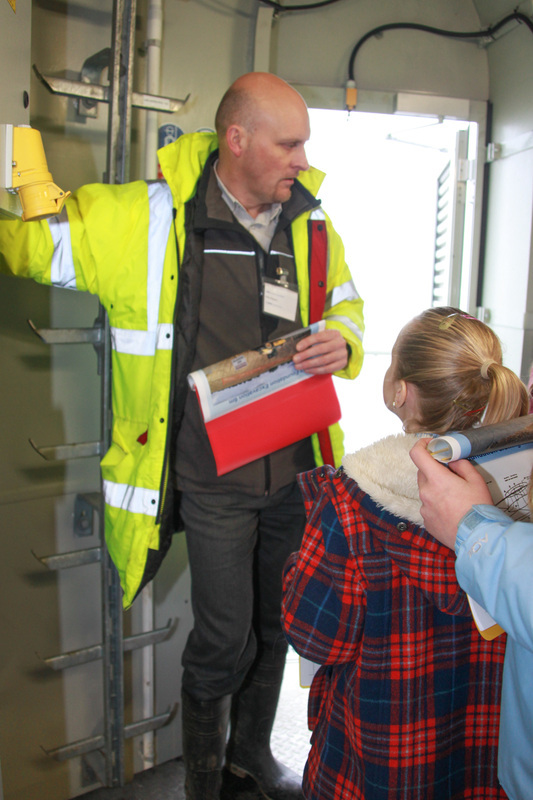 last year saw more than 4,400 schools taking part; some reporting energy savings of up to 20% as a result! 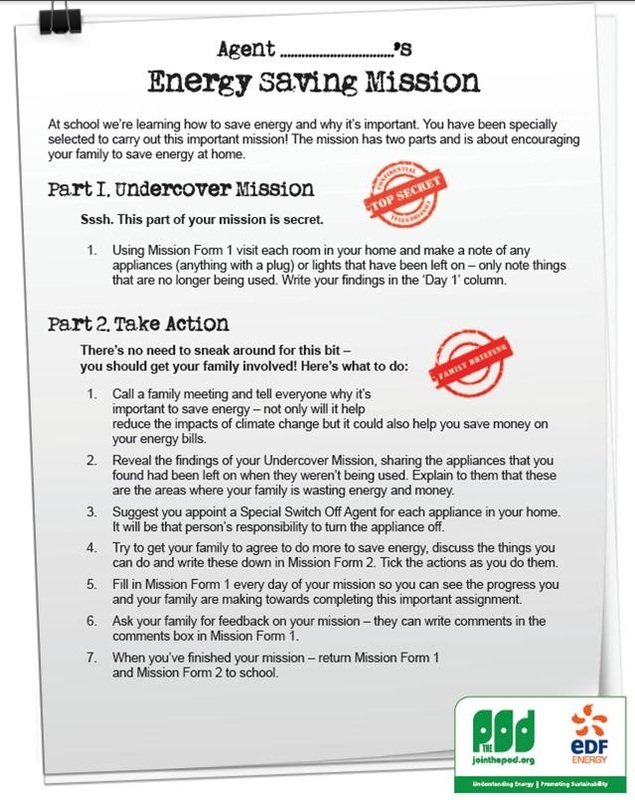 Their mission was briefed earlier this week and they have been in action around school working towards achieving our goal to reduce the school energy consumption even further. 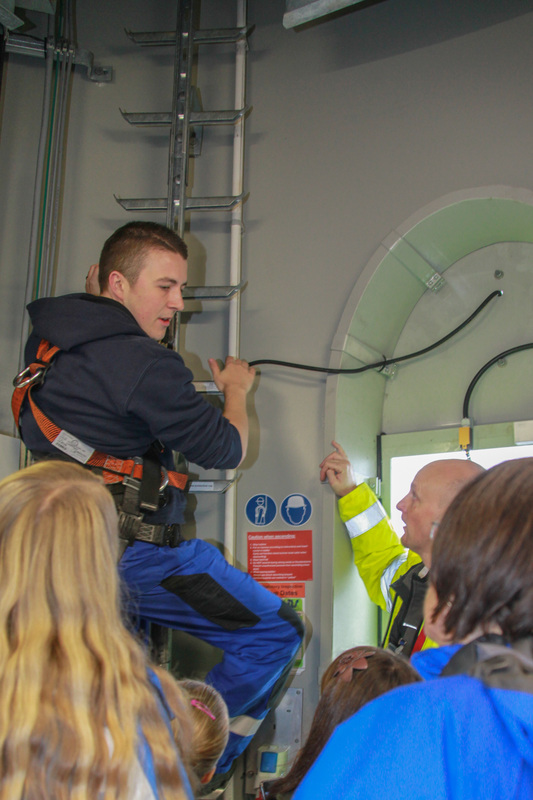 For those who may remember, in 2011 the school had solar panels installed on the roof of the building to generate electricity during the school day. To further reduce our consumption, our Eco-group are working hard on their latest mission as detailed below. 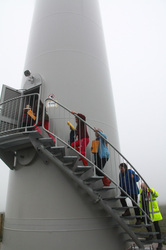 Latest video release from The Pod - EDF Energy's programme for grenner schools. 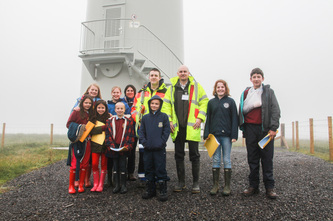 Some members of our Science Club & Eco-Group participated in an art competition on the theme of wind energy. RWE Npower Renewables invited the winners to Kiln Pit Hill Wind Farm on 23rd October 2012 where they were given the opportunity to learn about how wind turbines are constructed and how they generate electricity. 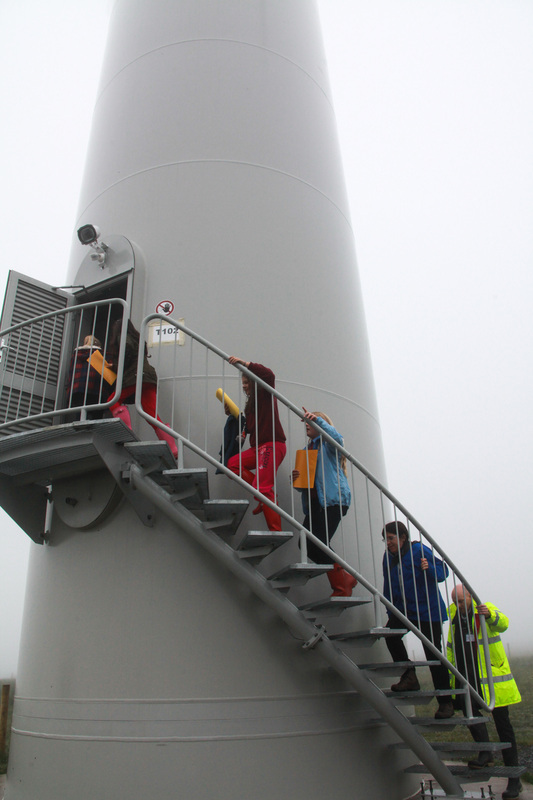 Club members were also given the chance to go inside the turbine but not to the top! Our thanks to Mrs Holmes and to Mrs Ellman for accompanying the club members on this very interesting and enlightening visit.